Service dogs and therapy animals are very different. A service dog is a dog who is trained specifically for one individual and performs one or more specific tasks for that individual. However, a therapy dog is a dog who is trained then certified or registered depending on the organization to bring comfort to others. “Pet partners is a therapy organization that registers dogs and many other animals. 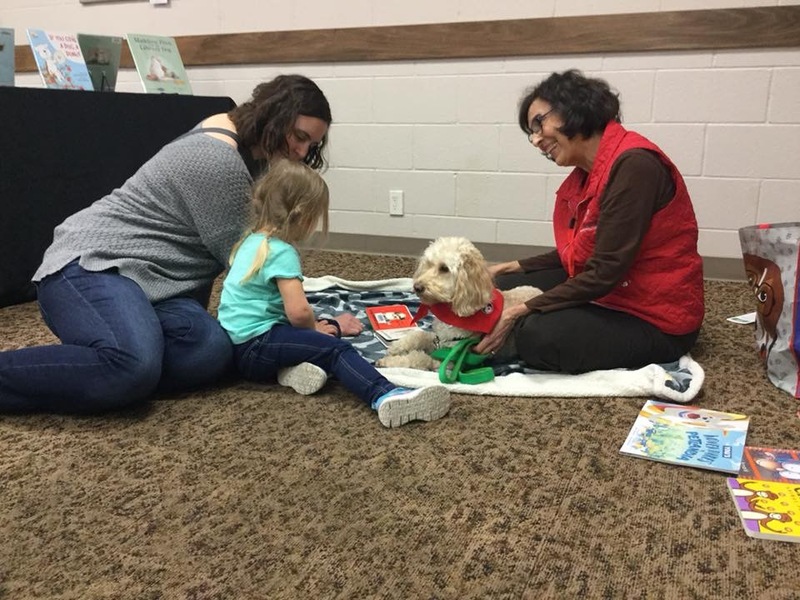 We have many teams that visit all over the world, as well as a lot of teams here in the Missouri and Kansas area, we call our local organization ‘Mokan pet partners,’” therapy dog handler Jenny Wiley said. The process to get an animal registered or certified to be a therapy animal is very intensive. This process involves training, testing, and a lot of time. The training can range anywhere from learning to sit and stay, to training the animal not to bark and how to stay calm in loud areas. “Getting a dog registered is different for each registration, but with pet partners, they evaluate both the animal and the person who is going to be the handler of said animal. We both have to pass the test and go in for testing where they ask us questions. Then we walk through a crowd, walk by a wheelchair, walk by where someone is arguing in loud voices, do the sits, the stays, and all the things you would expect the animal to perform in a real situation. The dog can not bark and can not jump on people so it’s quite a process and we are usually very nervous when we go through it,” Wiley said. Having a therapy dog can be a huge commitment, however many people think it is worth it. Getting a dog or any animal ready to go out and comfort takes a lot of time and effort. Before being able to volunteer the dog has to be well groomed, bathed, brushed, and teeth cleaned. “My husband Bill takes Sadie, our rescue animal to a veterans clinic and visits with veterans who come in to be treated. Both dogs, Sadie and Yogi, go to a local hospital in independence where we visit patients. We also have a school that we visit regularly where the students read to our miniature therapy dog, Yogi,” Wiley said. Although it is a lot of work, heartwarming experiences have been felt by many. Not only do the dogs like to be pet and socialize, most of the handlers appreciate the story’s and how visiting others has made them feel good. “We have several heartwarming stories, especially from the hospital. There was one time where an individual could hardly speak. Whenever we go into a hospital, a volunteer goes into the room first to ask if they would like a visit from the dog and if they say yes, we go in. When the volunteer came out they said ‘that individual cannot speak but take the dog in’ and by the time we left the individual was saying a few words and was talking. This experience and so many more made me smile,” Wiley said.